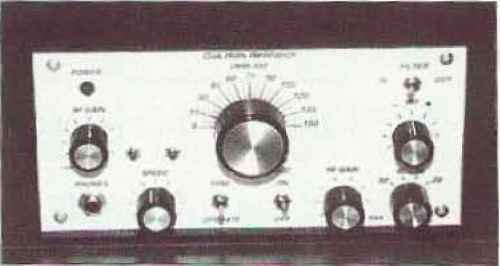 Reduces I rrterfcrence and Nttise on All Makes Short Wave Receivers. Mait« Worid Wide Rueeptldn Stronfler. Clearer an All Bands! Complete ** atwwii tout length 102 ft. with 37 ft, of 72 ohm I'&Unrtd reeillln^ III impart mnMert remnant traps. (VVt, 3 ok, 1" s loni). You Just tune to desired band for beamlike result-* FtcelTtnt iifr ALL wortd-wtde short-wave receivers and nma tew MfisuilUcTF i*Or NOVirE AND ALIj CLASS AMA-TKT'its! NO EXTRA THNEKS OR GADGETS NEfcDED Ellmlmitii 5 ifpamto antennu uith excellent per formats ftnarantned. Use as Inverted V for all band power gain, NO HAYWIRE HOUSE APPEARANCE! EASY INSTALLATION! SEND ONLY 53.00 (eaih, - k,. mn> ami nay postman halanee TOI> plus postage on arrival or sienci full price for postpaid de live nr.